FC Dallas is prepping for one of the most important matches they have ever played: their second CONCACAF semifinal game against Pachuca. They have a leg up after winning their first game against Pachuca at home, however, winning an away game is a whole different story. 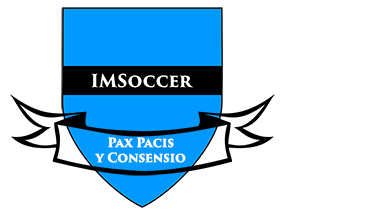 They will be playing in Pachuca, Mexico where the altitude is higher, the air is thinner, and FC Dallas will not have the extra support from fans that comes with playing at home. In preparation, FC Dallas went to Pachuca on Wednesday, almost a week early, to prepare for the change of environment and get their head in the right space. The team is training hard in hopes of making history: Dallas has never made it to an international final before. In addition, if they can eek out a win or tie they would be only the second MLS team to make it to the CONCACAF final. Real Salt Lake was the first to make it to the finals several years back, but they failed to bring home a win. If FC Dallas wins or ties this game they move on to the final and have a chance to be the first American team to win it all. However, if they lose they are knocked out. Watch FC Dallas play Pachuca at 7:00 tonight on Univision Deportes.